How exciting! You have just got a car and now you have the freedom to go where you want without any hassle. Your challenge now is to manage the running costs because the last thing you are those unexpected repair bills. Luckily, today’s late model vehicles come with an array of warning options, but if you choose to ignore the blinking lights and weird noises your car starts making, then be ready to shell out a large sum to get your car fixed. Check your tyre pressure regularly. If you get into the routine of doing this every-time you fill up it will become a very quick process. If your tyres don’t have the required pressure on them, it can affect the drivability of your car and can even cost you more on petrol. Make sure you look for your vehicle’s specific pressure settings – and remember that front and back pressures often differ. Not sure where to start? Here is a YouTube video to help you. Rotate your tyres every 10,000 kilometres to ensure that all your tyres wear out evenly. Doing this can help prolong their life. 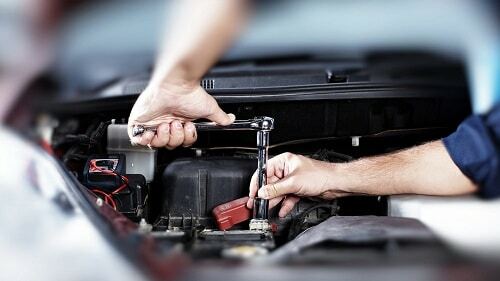 Your local tyre or auto mechanic can often do this while you wait – but best to book a time ahead. Clean brake dust off regularly. Leaving it on for too long can make the dirt and grime cling to your wheels, use a sponge and some cold water to remove them. Next, to the tyres, your windshield wipers are the most exposed to the elements. When you find it challenging to drive through the rain or snow even with the wipers, then this is a clear indication that they have reached the end of their life. Your wipers need to be replaced every six months to one year, depending on how much use they are getting. Luckily, this doesn’t take long. Lift the blades like you are about to wash the windshield of your car. Make sure to pay attention to how they are attached, take a picture for reference if you need it, then remove the blades. Most wiper models have a tab on the underside which can be pushed so it can be removed. When attaching the new blades, be careful not to bend the wiper arms or to scratch your windshield. Make sure that everything is lined up nicely and are secure. If you’re still having trouble, refer to the packaging for instructions. All cars have an air filter. This is a handy device located near your car’s engine. When your engine takes in air, the filter takes in all the debris or dirt that may come with it. This is why over time the filter gets dirty and can allow dirt and debris to enter the engine. 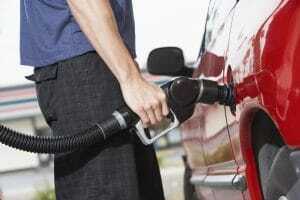 When this happens, it can affect your car’s overall performance and may even damage the engine itself. Find the filter. It is usually located in a black rectangular box with metal clips. Open the case, take note of how the filter is placed. You can take a photo for reference later, and then take it out. Place the new filter exactly how the old one was positioned and close the metal clips when done. Now your car has a new air filter and it only took you 10 minutes to install. You have to agree, there is nothing better than jumping into your car and having a clean fresh smelling interior and sparkling clean windows. It’s one of the things that makes a brand-new car so enticing. But a clean car is not just a pleasurable experience, it’s saving your money. Keeping the car clean inside and out will help maintain its value and ensure when it comes time to sell, you have the best chance at getting a good price. To get you started on how to keep your car looking like it just came from the showroom floor, these tips should be more than enough. Acquiring a car through Alpha Finance is the easy part. To enjoy the ride for the term of your lease, stay on top of the cleaning and maintenance. Just 30 mins a week will see you keep the costs under control and keep you on the road. 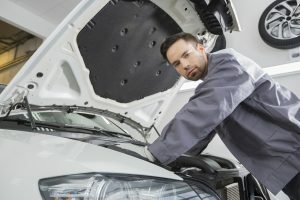 Then it is simply a matter of staying on top of the manufacturers recommended service schedule and you’ll be ready for all your driving adventures. If you want to manage these costs as well – don’t forget that Alpha Finance offers an optional service component that can be added to your weekly or fortnightly repayment schedule, making budgeting easier than ever.